For the 17/18 season, Blizzard overhauled most of their freeride skis. They completely redesigned the Spur, they tweaked the Bonafide, they replaced the Peacemaker and Gunsmoke with the Rustler 10 and Rustler 11, and they also changed many of their women’s-specific skis. 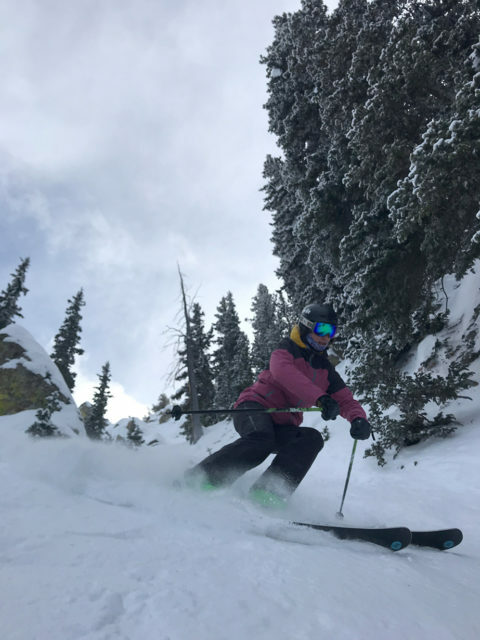 Blizzard’s women’s freeride line now includes the more directional Black Pearl series (we’ll be posting our review of the Black Pearl 98 soon), and then the more playful Sheeva line, which is the women’s equivalent to the men’s Rustler series. Blister reviewer, Julia Van Raalte, reviewed the old Sheeva a few years ago, but the Sheeva 9, 10, and 11 are all-new. So let’s take a closer look at the Sheeva 10. “The new Sheeva 10 is fun and forgiving, while offering up stability and versatility. We recently posted an update to our review of the Blizzard Rustler 10, which, unsurprisingly, Blizzard describes in similar terms. For the Rustler 10, we found Blizzard’s description accurate when it came to how forgiving and playful that ski is and we suspect we’ll be telling a similar story about the Sheeva 10. So really, the biggest question for us has to do with that whole “make any turn shape at any speed,” and we’re eager to see how similar or different the Sheeva 10 feels to the Rustler 10 in this regard. 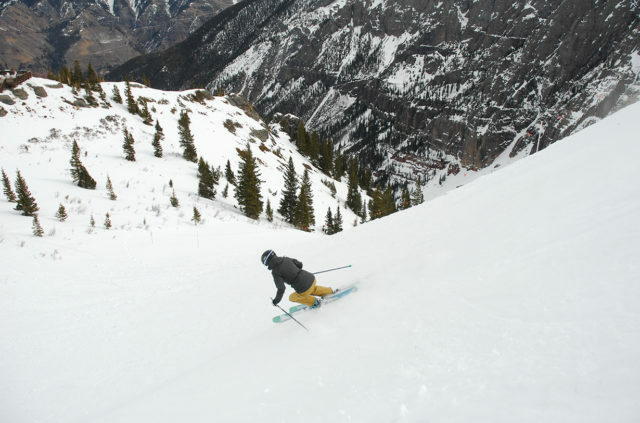 The Sheeva 10’s shape and rocker profile are extremely similar to the Rustler 10 — not a lot of taper, fairly deep rocker lines, and a good deal of tip splay. We were impressed by the Rustler 10 when it came to carving performance (particularly on smooth / soft conditions) and thought it still remained pretty playful, so we’re expecting somewhat similar results from the Sheeva 10 based on its shape and profile. This is a nice, rounded flex pattern. It does not feel demanding, but it isn’t weak, either. And compared to the wider Sheeva 11, the Sheeva 10 is just a touch stiffer through the tips and tails. 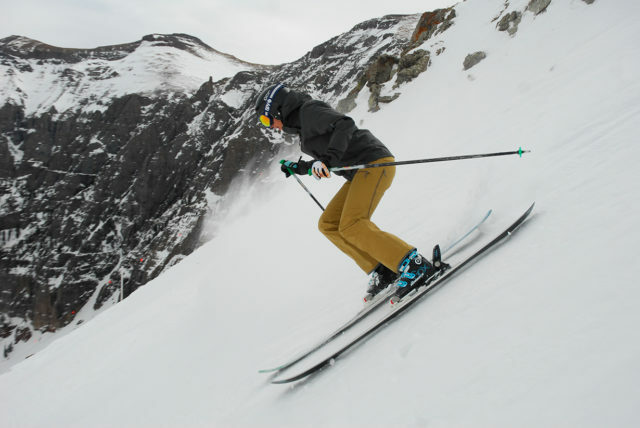 The difference is subtle, and typically, it makes some sense to see the wider ski (designed to perform well in deeper conditions) be just a touch softer than the narrower ski that ought to hold up a bit better in firmer conditions. We felt that the defining characteristic of the Rustler 10 (sidecut radius = 19 m in 188 cm length) was its eagerness to make small- and medium-radius turns, and with a stated sidecut radius of 16 meters for the 172 cm Sheeva 10, we suspect the same will likely be true for this ski. The old Sheeva had a stated weight of 1880 g for the 172 cm version, and the new Sheeva 10 is coming in almost 200 grams lighter than that, so we’re interested to see how stable the new Sheeva 10 is compared to the old Sheeva and to some other current women’s all-mountain skis. (1) With such a similar shape, profile, and construction, we’re interested to see how much family resemblance there is between the Sheeva 10 and the Rustler 10, and how similar or different our women’s take on the Sheeva 10 will be from our men’s take on the Rustler 10. (2) We didn’t find the old Sheeva particularly lively or poppy, but we’d say the opposite for the new Rustler 10. So how will the new Sheeva 10 compare? The new Blizzard Sheeva 10 looks to be a playful ski that — if it does end up mirroring the performance of its sibling, the Rustler 10 — could be an intriguing option for those looking for a forgiving and intuitive ski that still offers a good bit of stability. 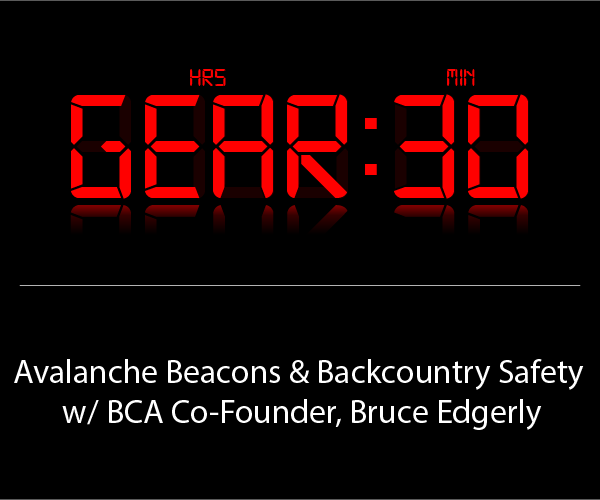 Stay tuned for our on-snow updates, and let us know about any questions you’d like us to address in our full review. 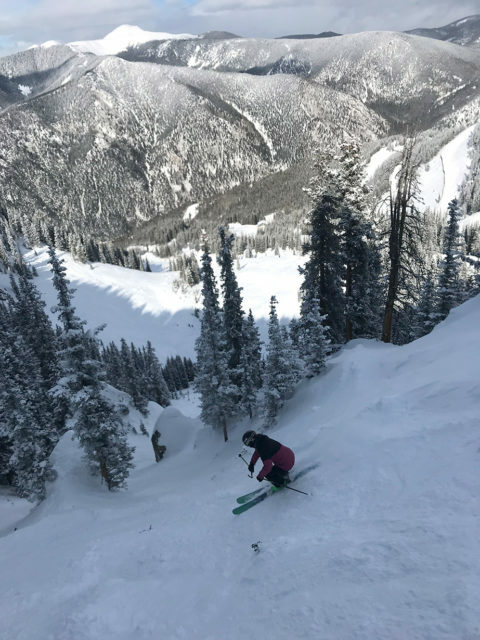 Last year Kristin Sinnott and I both skied the Sheeva 10 at Telluride, and this season we have been lucky with some substantial early season snow in Taos, which made for some great testing conditions. As a result, we were able to play around with this ski in a wide array of conditions. With the addition of the Sheeva 9 (~92 mm underfoot) this year, the Sheeva 10 (~102 mm) became the middle ski in Blizzard’s freeride lineup, with the wider Sheeva 11 (~112 mm) filling the role as the more powder-oriented ski in the line. The Sheeva 10 is also nearly identical to the men’s Rustler 10, a ski that I got along well with. Though it’s on the wider end of the all-mountain category (102 mm underfoot for the 172 cm length), the Sheeva 10 was a lot of fun on groomers. It has an incredibly lively and energetic feel, making for super fun transitions between turns. Due to the stiffer and energetic feel through the midsection of the ski, the Sheeva 10 felt very responsive on firm snow. The shovel engages with ease and rolls over onto edge pretty quickly, especially given the ski’s width. The Sheeva 10 prefers a slightly smaller turn than its big sister, the Sheeva 11. The Sheeva 10 is also noticeably quicker and easier to get edge-to-edge than the Sheeva 11, which is to be expected given the Sheeva 11’s wider width. Aside from that, I’d say the flex patterns, dampness, and overall performance on groomed snow between the Sheeva 10 and 11 were very similar. For generally firmer or on-piste conditions, I would prefer to take out the Sheeva 10. But for someone seeking a well-rounded ski that is more powder / soft snow oriented, the Sheeva 11 is an excellent choice, and it doesn’t sacrifice a lot when it comes to having carving on groomers. For a ski I’d primarily use on groomers, I’d prefer something a bit stiffer and more damp than the Sheeva 10, but I was repeatedly impressed by the relative smoothness and stability of the Sheeva 10, even on slightly icier groomers. And while it’s fun to carve, this ski can certainly do a lot more than just that (keep reading). When it comes to carving, I slightly preferred the 177 cm Nordica Santa Ana 100, which provided a more damp and stable feel than the 172 cm Sheeva 10, particularly at higher speeds. But when compared to the K2 Alluvit 95 Ti, the Sheeva 10 is more stable, making it a nice middle-ground for any woman who prefers to stray from the stiffness and slightly more demanding feel that comes with a heavier ski like the Santa Ana 100, but who still wants a pretty stable ski. 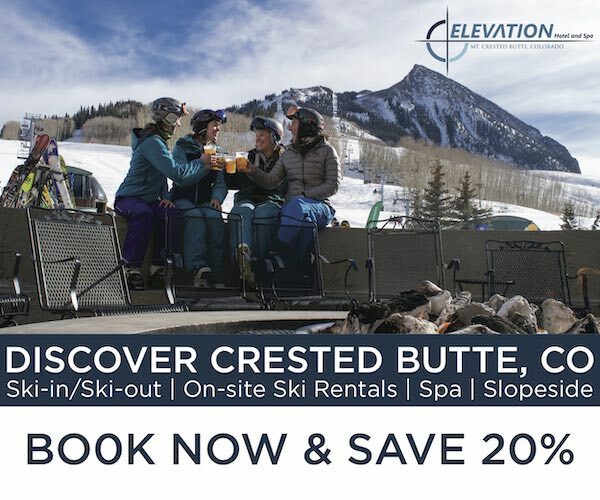 This is not to say that you can’t ski hard on the Sheeva 10 (you definitely can), but it is easier to ski at slower speeds than the Santa Ana 100. I took out the Sheeva 10 on many days of bump skiing as an attempt to break in my early season legs, and, wow, it felt like the correct tool for the job! Its combination of a forgiving, rockered tip and tail and a stiffer flex underfoot makes for a lively, energetic, and nimble sensation. Yet the Sheeva 10 was also forgiving in that I could shut it down with ease, easily choose my turn size, and if I slipped up and made a mistake, it was still pretty balanced and easy to maneuver. It also seemed to cater well to a wide spectrum of both mogul size and texture — from gigantic and firm, to smaller and softer. I actually preferred skiing bumps on this ski more than almost any other ski I’ve used. It offers pretty much all I could ever ask for from an all-mountain ski in bumps — lively, playful, energetic, and forgiving, yet still stable when I needed to edge into a firm trough. That said, Kristin Sinnott ended up preferring the lighter and narrower DPS Alchemist Uschi 94 over the Sheeva 10 in big, oddly shaped bumps as that ski is even easier to turn in tight spots. So if you ski a lot of bumps and primarily want a ski that’s very nimble, a lighter, narrower ski like the Uschi A94 might be a better option. When it came to skiing smaller, softer, choppier bumps, the Sheeva 10 again felt nimble and responsive, making quick, tight turns feel more accessible than with the 173 cm Blizzard Bonafide that I had been skiing just before. Compared to the Sheeva 11, the Sheeva 10 was definitely more agile. But given the Sheeva 11’s wider width, this is understandable. The 172 cm Sheeva 10 is noticeably shorter (both in terms of overall length and effective edge), softer, quicker, lighter, and is more forgiving than the 177 cm Nordica Santa Ana 100. So again, if maximum stability is your priority, the Santa Ana 100 is still the best choice. But if you want a quicker ski that’s still pretty stable, the Sheeva 10 is a great alternative. The Sheeva 10 seems like a great option for a woman who is may not be an expert skier in moguls, but who is looking to progress and improve. 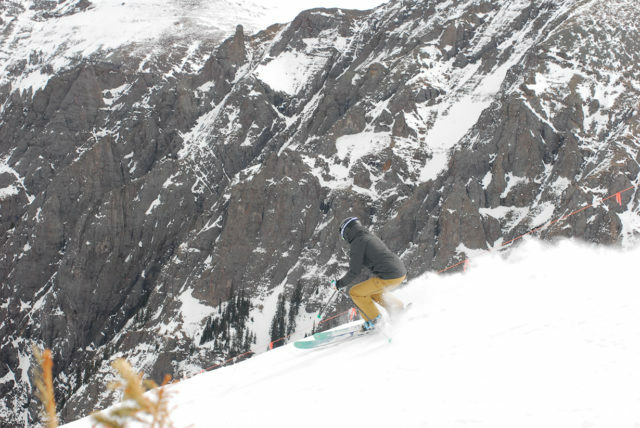 And it could also work for very experienced skiers who prioritize quickness over stability. While it’s fairly light and not super stiff, I still liked the Sheeva 10 in rough and choppy snow. Its rockered shovel kept it from getting bogged down in variable snow, while also giving it a predictable feel when moving through changing snow conditions. In the 172 cm length, the Sheeva 10 felt really accessible when it came to speeding up or slowing down at my will. It maintained a damp feel through most of the ski, and the tail feels snappy and quick, especially when the snow is firm. The nimble feel of the Sheeva 10 was especially nice when hopping around early season obstacles (e.g., making jump turns through some of the narrow, tracked-out pitches in Taos’s West Basin). As I noted above, the Sheeva 10 is noticeably softer and lighter than the Nordica Santa Ana 100, but the Sheeva 10 is slightly stiffer and more stable than the K2 Fulluvit 95Ti. As a result, I prefer the Santa Ana 100 on really firm snow, particularly in the chutes because it has a more solid feel at speeds throughout the entire ski. The Sheeva 10 has a slightly softer, more forgiving feel through the tip and tail, which does mean that the tips can flap around a bit at speed. The Sheeva 10 is still quite stable for its weight, but it offers a more forgiving and accessible ride to a woman who is still learning to ski at speed through variable snow. While it wasn’t as stable when making big turns through rough snow compared to the Santa Ana 100, the Sheeva 10 was easier to shut down quickly, as well as being slightly more forgiving and maneuverable through the tail when it came to tricky, tight, and technical lines. The Sheeva 10 also offered a more damp and smooth feel at high speeds in firm chop compared to the 170 cm K2 Fulluvit 95 TI. In soft-snow conditions, the Sheeva 10 is great. 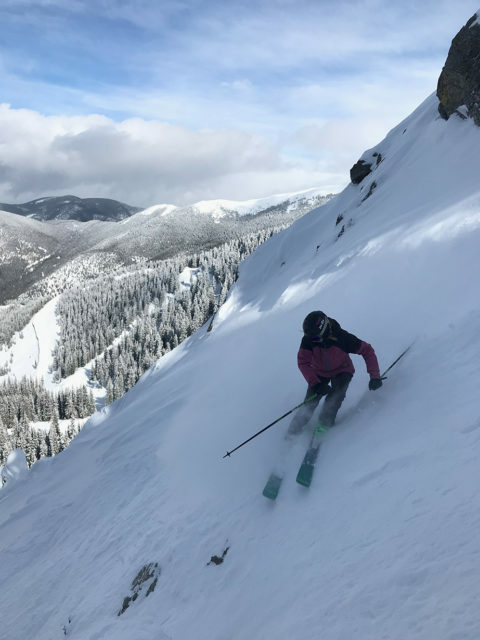 While the Sheeva 11 would be my preferred ski on a true-powder day, the Sheeva 10 is still a great option, especially for any woman looking for a 1-ski quiver. 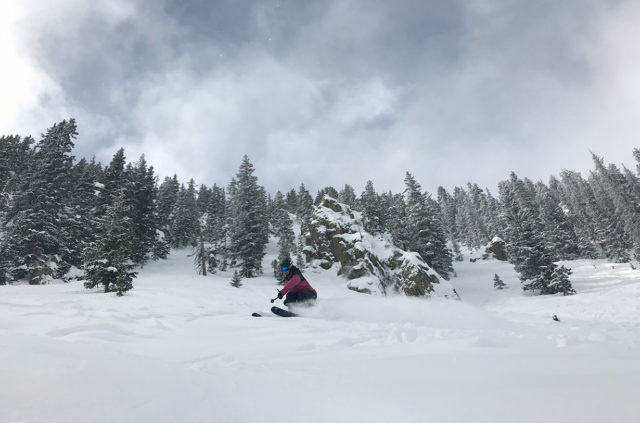 It offered ample float for me (I’m 5’9”, 145 lbs), even when skiing some unconsolidated and pretty heavy snow when they first opened some of the steeps at Taos. From light and fluffy to heavier and wetter pow, the Sheeva 10 provided flotation and maneuverability, which was great in both powder and soft chop as the snow got skied out. I’d still choose to take out something a bit wider (e.g., Sheeva 11) on deeper days (>10”), but the rocker and shape of the Sheeva 10 allows it to plane on top of most soft snow, remain playful and easy to turn, and it feels light enough to whip around in tight spots and trees. The Sheeva 10 offers enough float for most of the storms here in New Mexico, yet it still performs quite well when the snow isn’t deep. I think the Sheeva 10 would work for a wide range of skiers. Because of its versatility across most conditions, I think it’s a great 1-ski quiver option for many areas. And it’s also versatile in terms of ability levels. I could ski it very hard, and was quite happy with its stability. Yet, when I made a mistake or wanted to shut down speed, the Sheeva 10 was forgiving. As a result, I think women who are continuously seeking to progress in their skiing without feeling challenged by their skis would really like the Sheeva 10. At the same time, those who are confident in their skills, but who prefer a ski with a more forgiving and playful feel should also consider the Sheeva 10. While I tend to prefer skis on the heavier, stiffer end of the spectrum, it was actually really nice to get away from those skis and get on something that was easy to maneuver without feeling flimsy. Despite its level of forgiveness and playfulness, the overall stability of the Blizzard Sheeva 10 impressed me on numerous occasions. I think it’s a great 1-ski quiver for the resort, and if you toss a touring binding on it, it’d be a solid option for everything. I would recommend this ski to women who like to ski in all conditions and terrain, and who want something that can be playful and forgiving when they need it to but that will still hold up to faster, more aggressive skiing when they want to open things up. Any update on the Sheeva 10 since the initial review? My wife is considering the 164 and there seems to be a lack of decent reviews out there so far. Stay tuned — we’re in the final stages of editing this full review. Should be posted within the next week or so. Thanks, Luke. I put a deposit down on a pair that should be here Friday. Thinking of Marker Griffon or Look SPX 12 bindings. Store suggested Marker Squire but I am unsure because I am not light. Starting a Freeride program at Lake Louise on these skis (all mountain, no park). Not an expert skier (yet :)) but strong advanced female, 170 lbs, former bodybuilder who LOVES moguls. Would the Squire work for me? No cliffs but do catch a little air on occasion. Thanks, Luke. I missed your reply and actually went with the Look SPX. It’s a brand loyalty thing for me. Pick them up tomorrow! My wife has the Sheeva 10’s and this review aligns well with how she describes it. Overall she loves the ski, and particular likes it in bumps, steeps, trees, and soft chop. However, for her next ski she wants something that is more inclined to make bigger turns on the groomers, has a higher top end, and that floats better in Alta/Snowbird powder. Would the Santa Ana 100 or 110 fill this spot appropriately? Any other suggestions? I skied my new Sheeva 10s yesterday. This is a step up for me, and I was really, really pleased. The conditions were not what I bought these skies for, but at Lake Louise you can usually find a bit of everything (including some blown in powder) at some place on the mountain. I bought these for soft/fresh snow days and didn’t find much of that yesterday (Saturday); however, the warm temperatures provided some softer stuff in a couple of places, and I am anticipating a really enjoyable ride in some true fresh powder. These are my first wider skies, and I was expecting a bit more of a struggle to get used to them (I’m 50). Not so. I skied them over hardpacked groomers with some icy patches (surprisingly good), big gross crusty moguls (great), smaller softer moguls (amazing), and crusty crud at one point in the day when a little storm front blew through (not amazing, but better than my other skies). I was getting thrown into the backseat a bit on steeper slopes with moderate bumps, but I had my boots cranked up extra tight (they’re a 110 stiffness), and I think I overdid for the type of skiing I was doing. When I loosened my boots back to where I normally ski them in the afternoon, I didn’t seem to have any trouble staying on top of them. I can add some more comments as I ski these some more. I sure hope we can some more snow out here in Alberta Canada. This is one of those dry year. Oh well. How does the Sheeva compare to the Rustler 10? Is the Rustler just stiffer? My wife really liked the Sheeva 10 in the 164 cm length. Is the Rustler 10 in a 164 cm the same ski with a different topsheet? So I’ve been in these skis for a half a season and really like them. I am having a cosmetic issue with them, though, that’s really bugging me. I wish I could attach pictures. The topsheet is lifting in a couple of places. It seems to be in spots along the top of the tail where it looks like there is no is no metal. Weirdest thing. My three year old Rossis are scratched but the topsheet is fine. The Sheevas are really pretty, but that’s not why I bought them. I really hope the problem doesn’t get any worse.